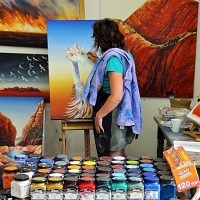 Join me on the spectacular Norfolk Island for a unique painting experience. This workshop is designed to provide a mix of studio and en plein air painting experiences. It will focus on learning to paint the beautiful Norfolk Island scenery en plein air. Learn just how easy it is to get started and capture that perfect holiday artwork by creating either a travel diary or if your feeling more adventurous, a larger artwork. Use acrylics, watercolour or even just sketch and photograph. Linda will demonstrate the joys of painting in acrylic plein air and how to overcome some of the difficulties. 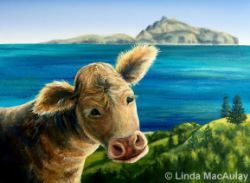 Under Linda’s step by step guidance you will master an array of painting techniques, including tone, colour, brushwork and composition. Chairs and painting boards are supplied and there are portable easels are for hire. We promise once you get started painting on location it will be addictive.